We offer a regular series of talks on the history and archaeology of Southwell and other related subjects. These take place on the third Thursday of each month. Admittance is free to members and costs £3 to non-members. 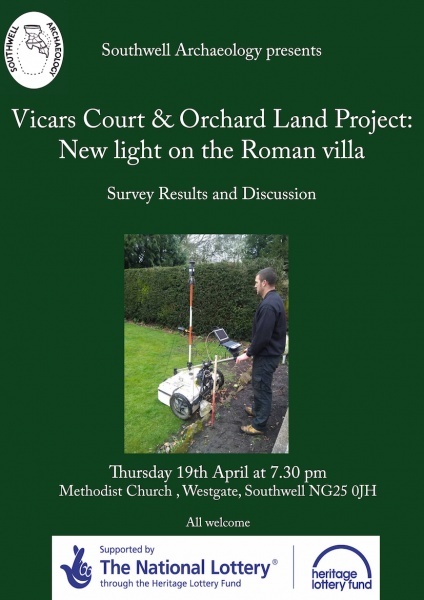 This month's topic is: Vicars Court and Orchard Land Project: new light on the Roman villa.